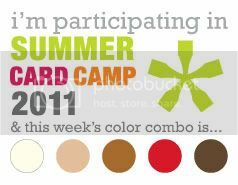 I return with a card for Week 3 of the Summer Card Camp 2011 online class. 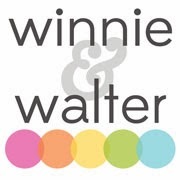 This one is completely out of character meaning it is clean and simple. I admire cardmakers like Maile Belles who pull these cards off over and over with panache. 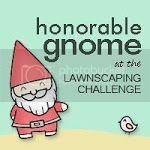 I am not one of them, but a girl can try can't she? I had a concept in mind using some lovely Hero Arts stamps I had bought, but sadly not used yet. I broke them out and liberated them. Hopefully they will enjoy much more inky happiness in their future. 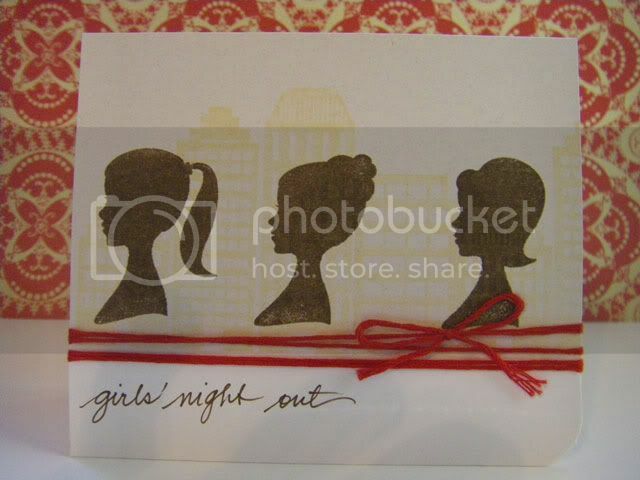 I thought the lovely ladies from Three Silhouettes along with the Cityscape were perfect for a Girls' Night Out card. I am not a girls' night out type of person...I am a true homebody, but I like the idea of ladies that party until they drop in killer dresses and more lethal heels. I am happy the option is out there and some partake. Thank you so much for visiting the Hall! I just love those silhouettes. They are too cute. No heels here and it's been a long time since I've been out like that. I love the simplicity of the card. I was going to go simple, but the distress inks were calling to me. Good job on the card!